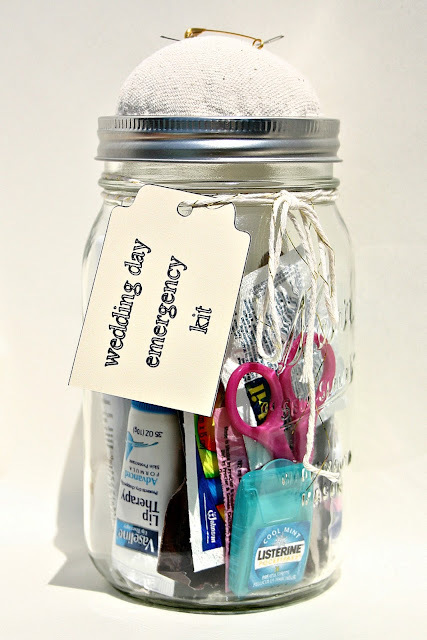 I am sad to report that Etsy has asked me to remove my wedding kits. Apparently they don't meet their criteria since the contents within the jars are not homemade. Once upon a time, a long time ago, a girl (fine, a middle aged woman) started a blog. Starting the blog was a New Year's resolution, but there were two other resolutions that went with it: one was that she would learn to use her camera. The fancy one. (The one with all the weird symbols on it.) The other was that she would open an Etsy shop. Technically speaking, she kept all three resolutions: The blog has been chugging along. She took a intro to photography class. And she opened the Etsy shop. By "kind of" I mean that she stocked it with one item and then forgot about it. That item sat in the store until the listing expired and then quietly faded away. Stop by the shop and check it out. I hope to add some vintage items soon as well. How exciting! I've already hearted or favored this item. I hope you get many, many sales. And, I can't wait to see some vintage finds! The wedding kit is a cute idea :-) I've got the blog going and the camera figured out (sort of) - now I need to get my Etsy shop up and running :-) Good luck with yours, and don't forget about it! This is beautiful Elena! I just got a camera and need to figure it out too! Congrats on the opening of your new shop! Congratulations, Elena! The little wedding kit in a jar has been one of my favorite projects of yours. I bet it ~and all the variations of it~ will be a big hit! I too started a blog, wanted to learn how to take better photographs and wanted to start an Etsy shop. The blog is going well, my husband bought a new camera that makes photography easier, but I have yet to start the Etsy shop. I am using you for inspiration. Hi ~ do you still sell these? Do you list the ingredients of the jar somewhere?